An end of year celebration of Bristol song craft, with three songwriters with their new bands bringing new and exciting materials! 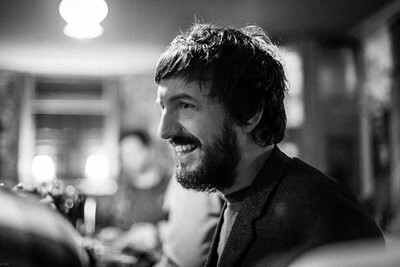 MARTIN CALLINGHAM is a Bristol based musician and songwriter. His debut album 'Tonight, We All Swim Free' was released in 2015 on Folkwit Records. Playing like the soundtrack to the last day of your childhood holidays it is in parts upbeat, elsewhere heart-breaking, and beguiling from beginning to end. A new album is on its way in 2019 and Martin will be previewing this with full band for this one off show. Expect deeply affecting live shows to accompany a beautifully crafted album. ANNA KISSELL has a voice that marries tender openness with a fierce soul. Hushed and dark, her folk lullabies unfold slowly and linger long after the songs’ end. Performing with a band who create a simultaneously rich and minimalist sound, she draws the listener into otherworldly dreamscapes, inviting them to lie back and forget time.